At Repel Restoration Inc. our first priority is to insure that your basement is waterproofed. However, there are some problems that will cause your water problem to worsen that can be easily corrected. One of these is poor foundation drainage caused by faulty or clogged gutters. When your basement is inspected by our waterproofing expert we will examine all areas of your home that can cause problems. Even the areas that we do not personally fix. 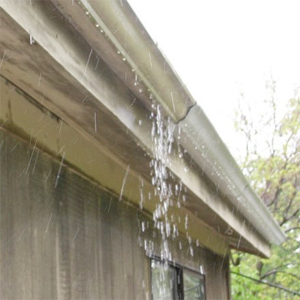 If we can recommend a simple gutter correction to one of our Long Island neighbors that is exactly what we will do. There are many reputable gutter companies on Long Island that can often reduce your water problem with this quick and often inexpensive service. Note: A faulty gutter issue can often inform you of a basement water problem that you do have a probably should be addressed, and that is where we can provide assistance. Be sure to visit our Hydro Active Grout Injection page to learn more about this method of basement waterproofing.